Percy Adams of Woore Hall was one of North Staffordshire’s most accomplished historians particularly in his study of the Adam’s family of potters. He was certainly ahead of his times when it came to ancestral research into many well-known Staffordshire families. But perhaps his most important contribution was his restoration of Trubshaw Cross in 1949 that lit up the shadows of a world that was nearly lost forever. Trubshaw Cross connected a minor lane to Tunstall with the packhorse lane from Burslem. These days I wouldn’t advocate dodging the unremitting traffic to reach the island refuge. But if you do manage to get to it, say on a quiet day, you will see some modest carved lettering on the base of the cross informing you that Thomas Trobbeschawe was a juror at the great court of Tunstall during the reign of Richard II in 1378. It is easy to speculate that the site was marked by a medieval cross to provide a focal point through what must have been dangerous terrain. Such intersections were identified as much for safety reasons and for location identifiers as for ancient religious gathering places. Ward would have seen the line of the road much as we see it today. But only a few years earlier the stretch that turns left from Trubshaw Cross to Porthill wasn’t there. Instead the road went straight on passing by today’s Westport Lake. 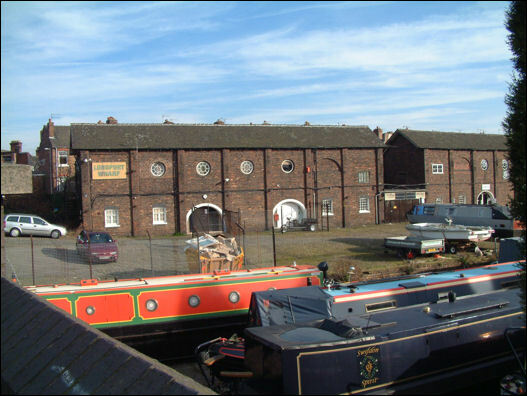 It is interesting to note that the first pottery to be erected at Longport was built in 1773 by James Brindley’s younger brother John. But it would be a cheap shot to accuse the great canal engineer of nepotism simply because of a fluke of sibling familiarity. So we won’t. Top Bridge is the only bit that remains. 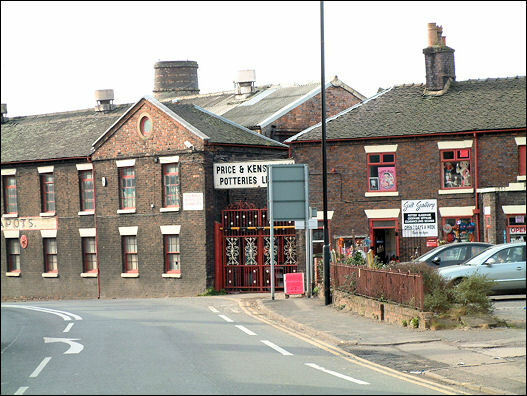 It was occupied in turn by teapot making Price Brothers, Price Kensington, Arthur Wood and Son and lastly Lorna Bailey. Today it is used mainly for tabletop sales and small businesses. It is also a Grade II star-listed site and is undergoing preliminary investigations into its development for housing and commercial use. On the opposite side of the road is British Waterways’ Longport Marina, and a business owned by boat builder Mike Adkins. At the entrance to yard a faded sign sprawls across a depot gable pointing out that this was once the Anderton Navigation Company. The chaotic Longport roads are at times a jammed nightmare that probably requires urgent traffic management. 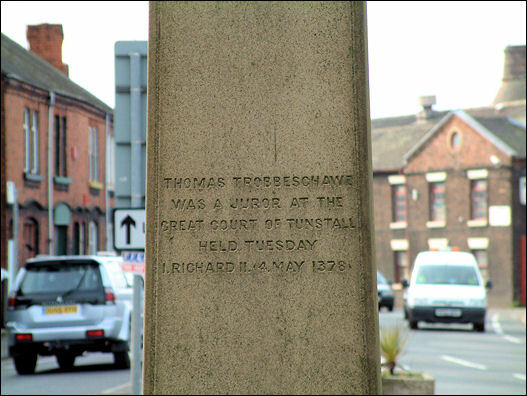 Nevertheless Trubshaw Cross is one of Stoke on Trent’s major gateways. It’s where Percy Adams gave us a glimpse of an ancient world where the packhorse was once king of the road.